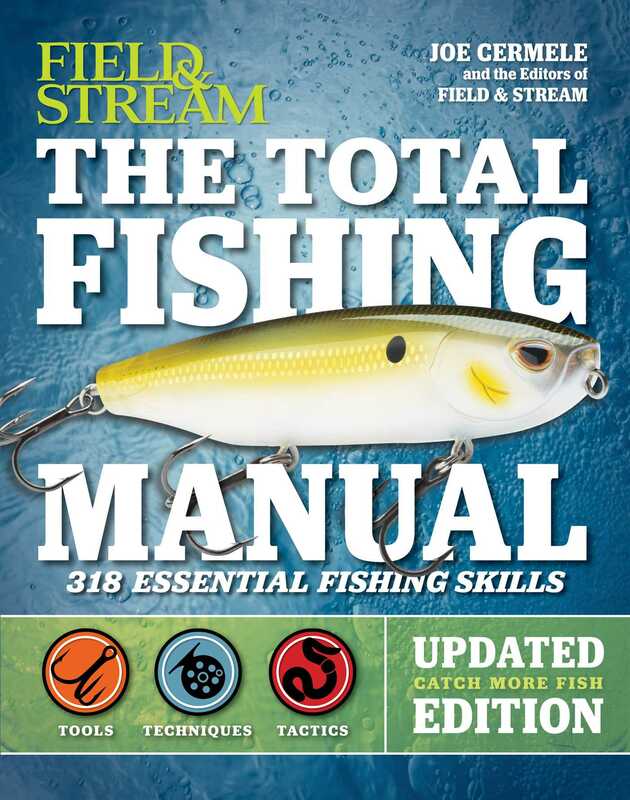 Updated and expanded for 2017, with new expert information on everything the modern fisherman needs to know—from picking the right gear and kitting out your boat, to the best techniques and tactics for seeking, locating, and snaring your catch. Gear Up Find the best of what’s out there, and what isn’t worth the money. Including lures, baits, flies and tackle for any situation in any style of water. Hook a Prize The experts at Field and Stream and professional fishing guides around the country lay out the do’s and don’t’s, where those sneaky fish are hiding, and how to put yourself in best position for the catch and much more. Whether Bobber fishing with newbies or looking to reel in a prize white marlin in the open ocean these are the tricks, tips and techniques to get the job done. This book also highlights some of the author's favorite fishing spots as well as some dream destinations. For amateur fisherman of all skill levels, this is a must-have book. Don’t give up on slab bluegills once summer heat drives them from the shallows. Here are three killer tactics to catch big bulls in deep water. (A). “Target the banks that are closest to the channel, where the wind blows the larvae into the bank,” says Ron Lappin, a retired Kentucky guide and panfish pro. “The higher the bank, the better the hatch is. Look for places where the wind can blow across a large area.” Cast to the bank and use a slow retrieve, occasionally pausing to let a spinner or jig glide on a semi-slack line just above bottom. Most reservoirs have manmade current sources, such as a dam, its turbines, culverts, and locks (C). These attract bluegills and are best if they are in deeper spots or have a large concrete structure like a dock piling nearby. “You’ll see bluegills almost swarming in these areas after the spawn,” says Lappin. He floats a live cricket, rigged on a No. 6 cricket hook, under an acorn-size bobber (Pinch two split shot onto the line between the cricket and bobber), starting on the sunny side of the structure, then shifts to the shaded side, casting directly against the dam.